Tour detail- We will start the tour with jeep ride to desert, visiting monuments and villages on the way. Jeep will drop us on a camel pick-up point and we will have an hour and half camel ride to go to our Sunset point. After watching a beautiful sunset over the sand dunes, we will have dinner and return to hotel by Jeep. * The tour could also be organised without camel safari and you visit the sunset point by Jeep directly. Tour detail- We will start the tour with jeep ride to desert, visiting monuments and villages on the way. Jeep will drop us on a camel pick-up point and we will have an hour and half camel ride to go to our Sunset point. 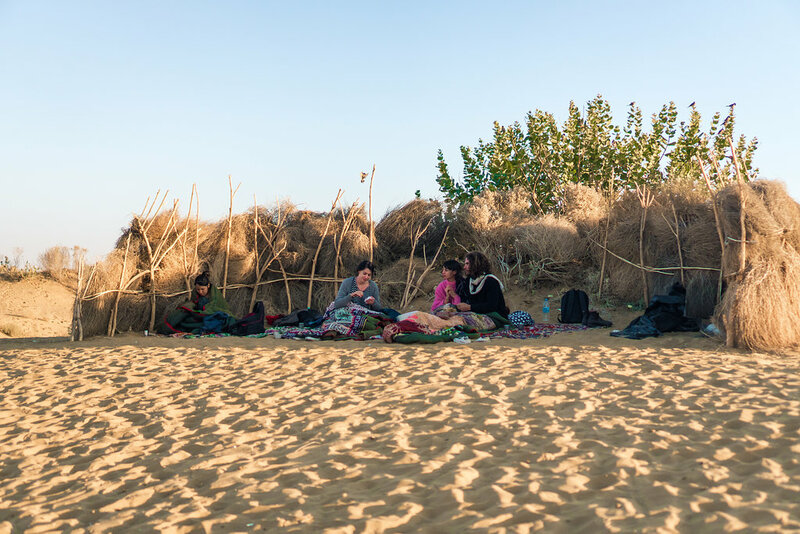 After watching a beautiful sunset over the sand dunes we will have dinner and sleep under the stars over the sand dune. Next morning after a lovely sunrise and breakfast we will return by jeep to our hotel. 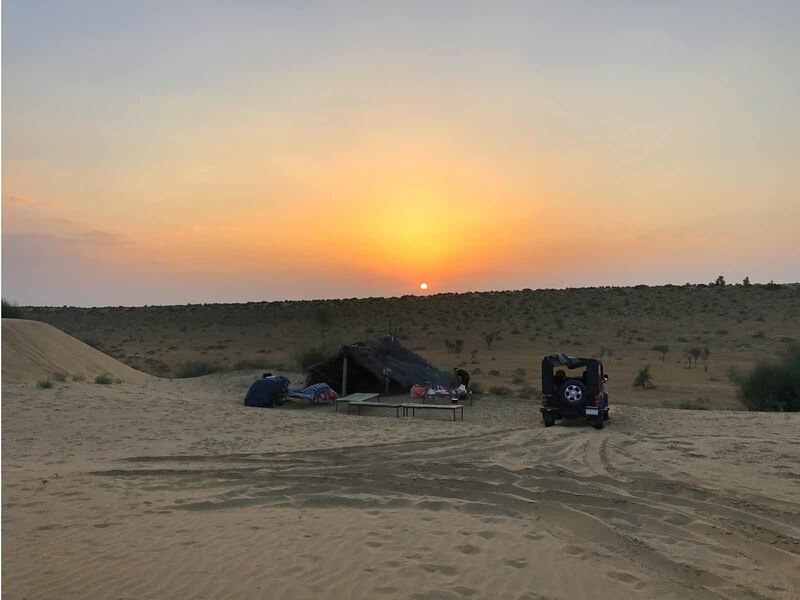 Tour detail- We will start the tour with jeep ride to desert visiting some villages, gypsies and having an introduction to desert culture on the way. Jeep will drop us on a camel pick-up point and we will have a camel ride to go to our lunch point under a tree in the sand dunes. 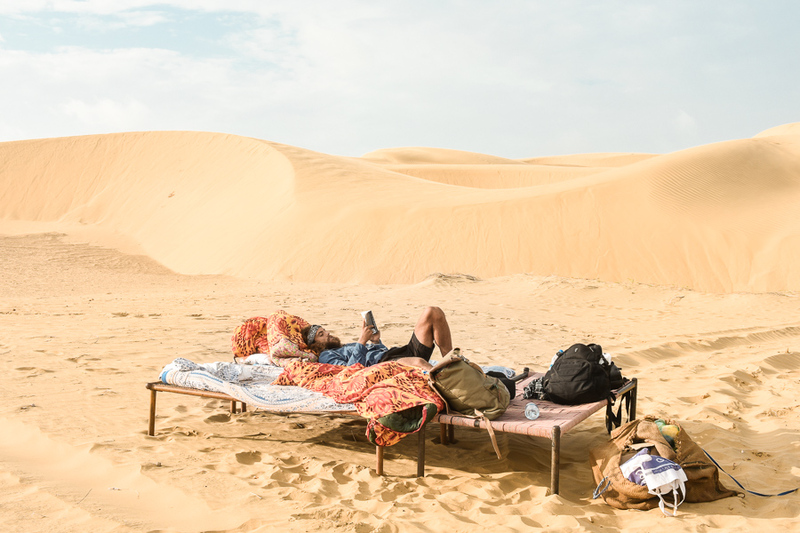 We will continue our camel ride after lunch exploring more of that desert and to go to the sunset point where we will watch a beautiful sunset over the sand dunes, have dinner, campfire and sleep under the stars over the sand dune. Next morning after a lovely sunrise and breakfast we will have another camel ride to go to jeep pickup point and from there we will return by jeep to our hotel. First day - We are going to leave at 9 am by Jeep and we will do a small tour around traditional villages. 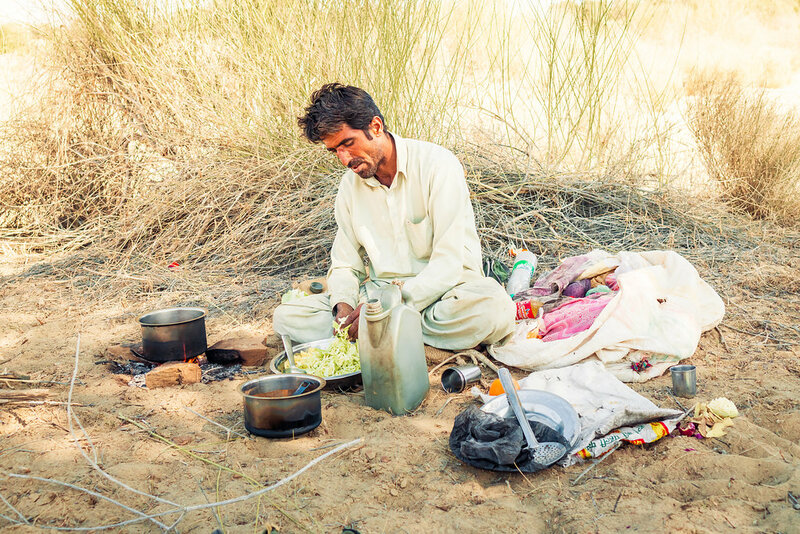 You will see how people live in small houses in the desert. Then we will go to meet your camel and your guide. 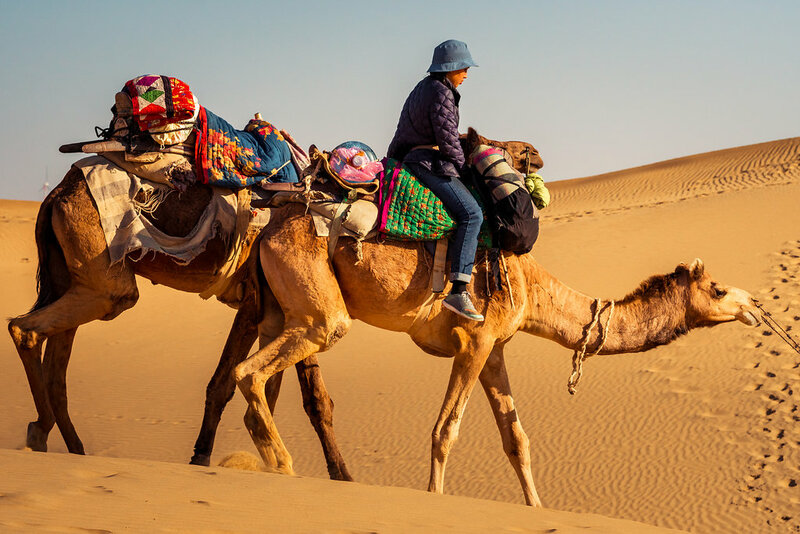 And lets go for a camel ride around the desert until a very nice and quite place, where you will have a nice Indian lunch under the shadow of a big tree. After a little nap in the middle of madam nature, you will go to your camp with your camel. Nice place with many dunes where you will be able to watch the best sunset ever!!! You will spend a nice evening, hearing Indians stories, songs, and eating a special dinner around a camp fire. You will enjoy it for sure. Finally you will spend a night under the stars. Days 2 - Breakfast after a perfect sunrise in the dunes. 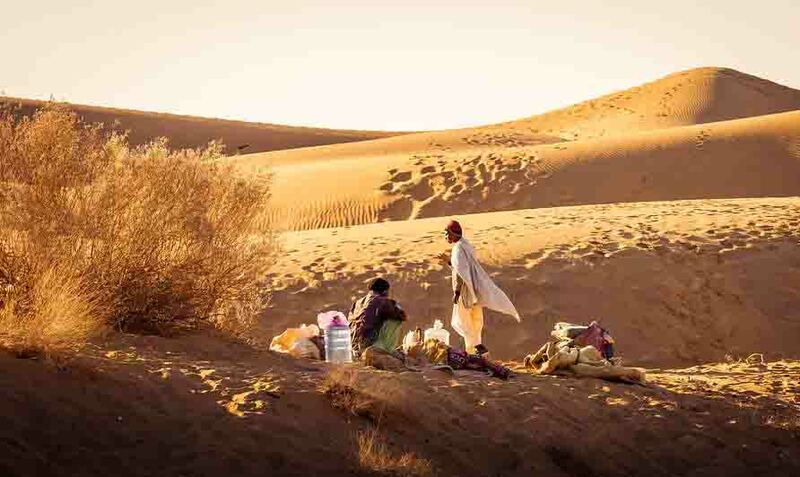 After that you will do a nice walk on your camels, through a different road to explore the desert wildlife. Little lunch under a new nice tree. 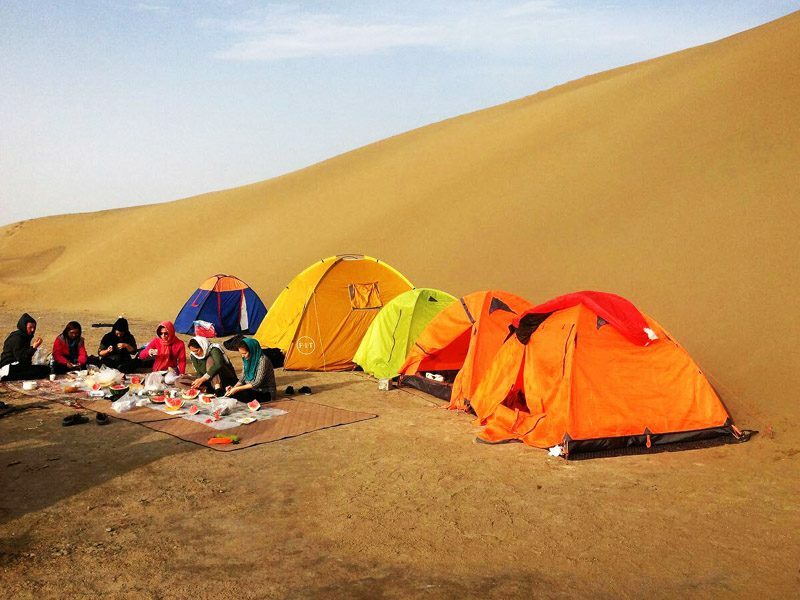 Then, you will join an other camp for the night and enjoy a beautiful new sunset in the desert with your friends !! Days 3 - Sunrise and breakfast in the desert. 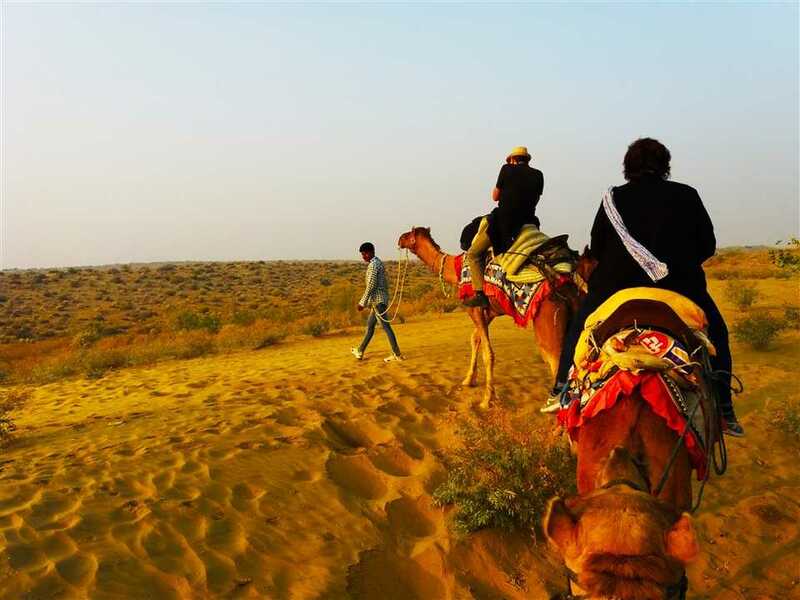 Last walk on camel until the jeep which will bring you back to Jaisalmer. There we offer you to relax a little bit, appreciate a good chai on our roof top and of course if you want to, you can take a nice hot shower! !